Lawyers use Terms and Conditions (T&Cs) to baffle people into handing over sensitive data and giving away rights. Legalese is a mystical language that affects many but is understood y few. As a general rule, I try and read the terms of any offer which requires me to hand over personal information, especially when it asks for contact details. 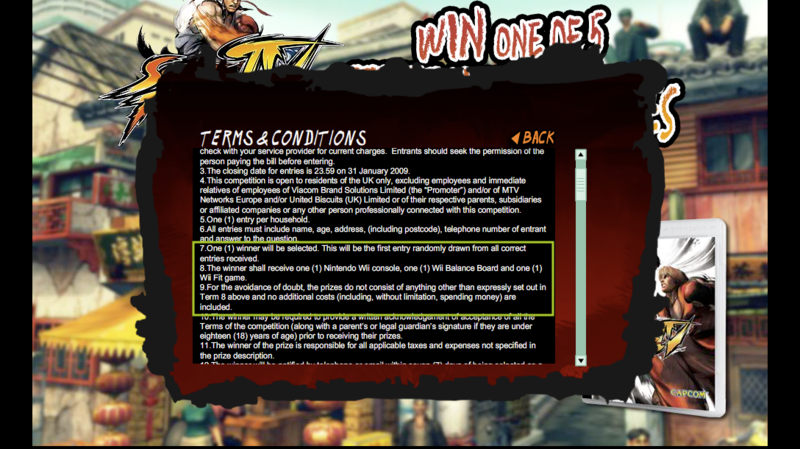 So when I was directed to a competition to win a copy of Street Fighter IV, I checked out the terms before entering. As well as being a horribly unusable Flash site, it had some odd terms and conditions. This is the screen you are initially presented with when hitting the site. 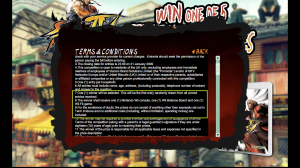 Upon proceeding, you get a chance to view the terms and conditions. 7. One (1) winner will be selected. This will be the first entry randomly drawn from all correct entries received. 8. The winner shall receive one (1) Nintendo Wii Console, one (1) Wii Balance Board and one (1) Wii Fit Game. 9. For the avoidance of doubt, the prizes do not consist of anything other than expressly set out in Term 8 above and no additional costs (including, without limitation, spending money) are included. I’ve emboldened two pertinent bits above. These terms effectively mean that the winner of the competition on www.win-streetfighter.co.uk will actually win a Wii Console, a Wii Balance Board and a copy of Wii Fit. Clause 9 then makes it doubly clear that the prize is not, and can never be, anything other than that defined in clause 8. 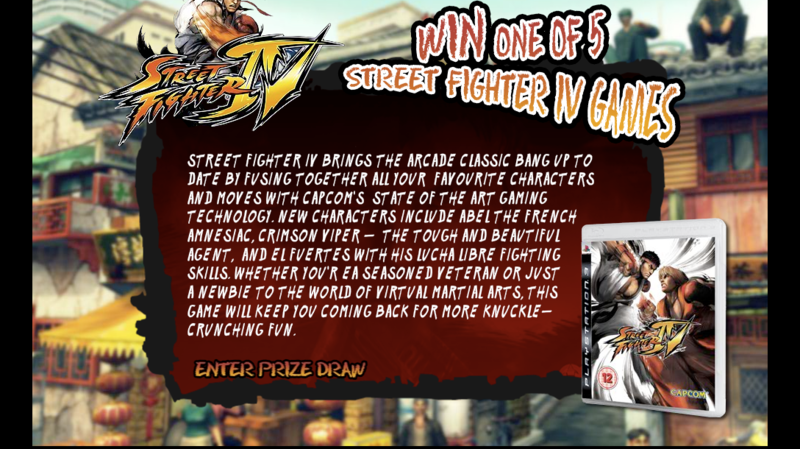 To make matters worse, Street Fighter IV isn’t even available on the Wii! Well played Mr Lawyer, well played.